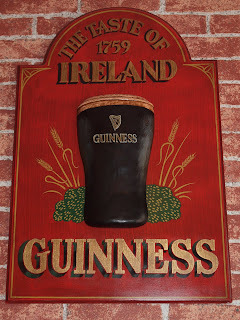 We've got a French-style Irish pub in Roquebrune - in the quartier called Carnoles. It's proving to be a popular local venue with music on Thursday evenings. 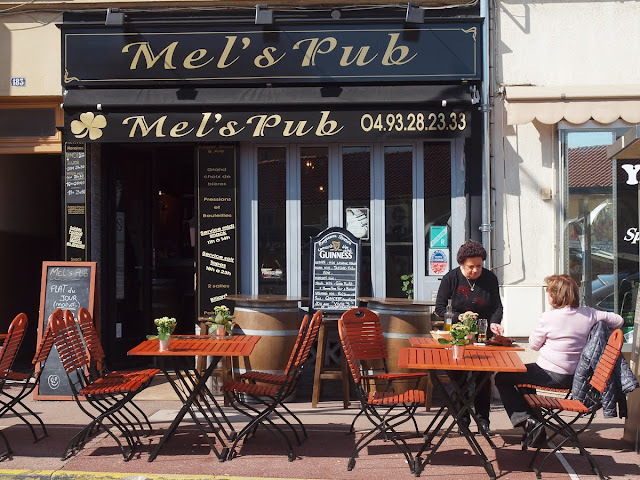 Mel's Pub is owned and run by Mama, Papa and daughter. 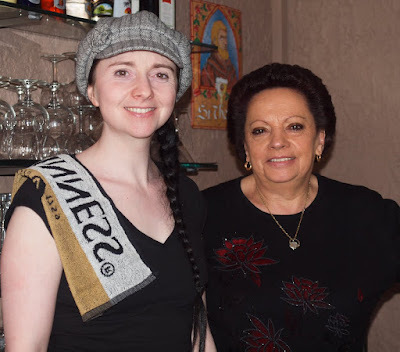 In the photo below you see Virginie and her mother, Marie Rose. Nous avons un pub français, de style irlandaise à Roquebrune - dans le quartier appelé Carnolès. Il s'avère être un lieu fréquenté par les gens du coin qui peuvent aussi y écouter de la musique le jeudi soir. Le Mel's Pub est géré par ses propriétaires Mama, Papa et leur fille. Sur la photo ci-dessous vous voyez Virginie et sa mère, Marie Rose. So I guess it is more Irish than English, I will have a Guinness then! Thanks Jilly, nice to know! I will be in Menton for a week in April and I'll definitely visit Mel's Pub for a pint of Guiness or two! Yes, it's also on Virginie's other page too. You'll find it opposite the little market in Carnoles, Rocteur. I don't like Guiness but I love irish spirit! Steffe, thanks. I changed it to British, then changed my mind and now it's Irish! Quite right. Jilly, we changed the time today; Your lemon clock is an hour late.. I changed it! Thanks Malyss. I was up at the crack of dawn anyway to watch the Australian Grand Prix. Forgot the time.. 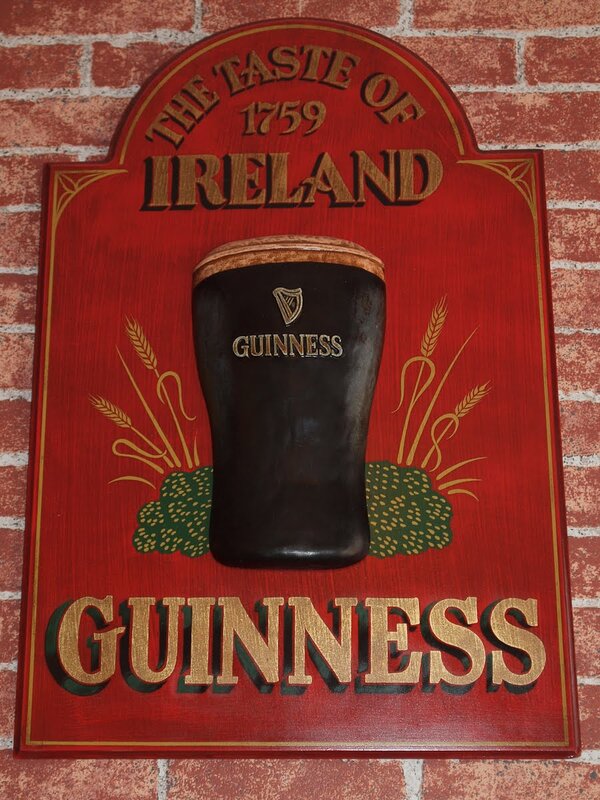 The Irish can sniff out a good pub just about anywhere on the globe! Good news, Jilly. We had to go to Monaco to celebrate St. Patricks Day when we lived in Menton. The Cafe du Paris brought in a chef from Ireland and created a special menu. It was delicious, but not like the raucus celebrations we have here in the U.S. March is a beautiful time to be in Menton. It gets warmer everyday! French style Irish pub...how interesting. Sounds like a doubly fun place Jilly. They look lovely. I wouldn't mind spending a little time there. Two great photos for a great atmosphere.